As a little change from out Word of The Week, we’ve decided to share with you a few interesting words that you mightn’t have guessed to be real. 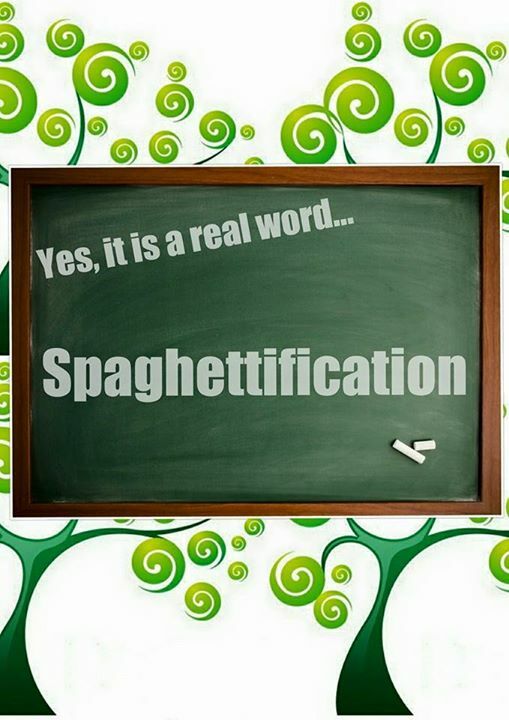 Spaghettification (noun), relating to physics. Isn’t this sweet! 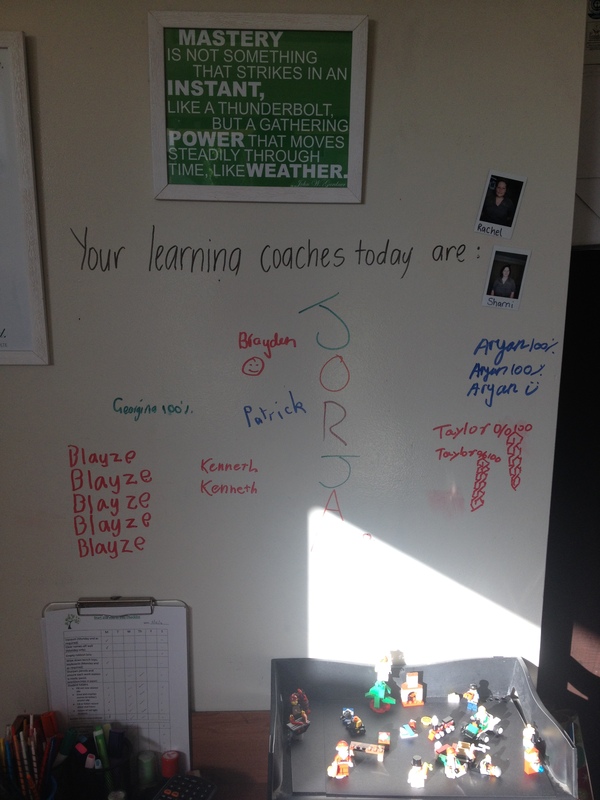 Kate sent home some handwriting practice with one of our prep students last week. 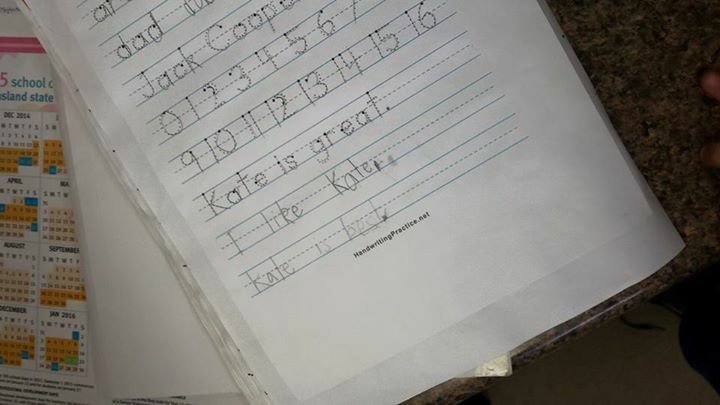 Along with his numbers, she wrote a “Kate is Great” sentence that he didn’t realise was there until he read it aloud. When he came back with his work, he’d added two beautiful sentences of his own (with the help of his Mum, of course!) Naturally, we all agree! 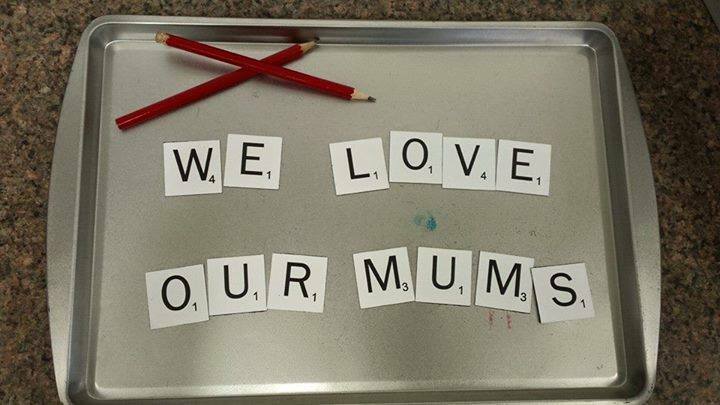 We hope you’ve all had a wonderful Mother’s Day! Example: It’s such a relief that the enervating heat has finally started to settle. Example: An important issue many criticasters seem to be overlooking is the fact that this new network is being run by just one man. Share your parade photos with us today. Flocculent – not to be confused with flatulent! 3. (biology) covered with tufts of flakes of a waxy of wool-like substance. Example: My mouth watered at the sight of my show bag full of soft, flocculent fairy floss. There are a lot of options for this word folks, get your thinking caps on and let us know what creative ways you would put it in a juicy sentence! Previse (verb): To know, or notify in advance, to predict or to foresee. Bless our darling year 7 student, Miss J and her inspiring magnetic note left last week. 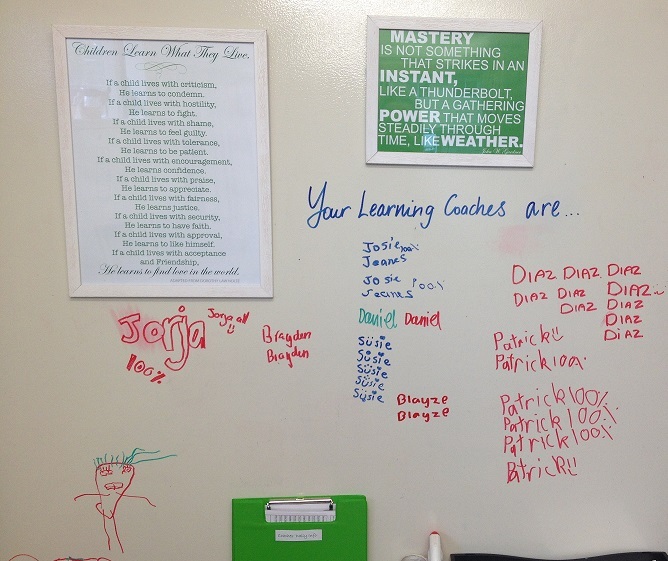 It’s surely our pleasure to support our learners in their journeys to becoming lifelong learners with confidence! Ennui (noun): A very deep lack of emotional interest; disinterest, discontent, weariness or boredom; mental tiredness from not having anything exciting to do. Don’t forget to send us your creative uses for this WotW! We are so very proud of one of our newest learners at the moment who is putting in a FANTASTIC effort and already showing improvement. This guy READ THREE STORIES yesterday! He is learning to hear the sounds in words and got 9/11 of his spelling words correct. Check him out completing one of the activities we did last week; his smile says it all! Master B, you’re smart, you’re fun, and you’re doing a fantastic job with learning! Example – I think that is a load of old codswallop. CHALLENGE: Use the word in an interesting sentence and post it in the comments (or pm it to us). The sentence we choose as our favourite this week will receive a little something in the mail! Cahoots (noun): Questionable collaboration; secret partnership. Example – A mysterious group of rich evildoers has been in apparent cahoots with aliens seeking to colonize the earth. Well done Master J, we are all proud of your effort! 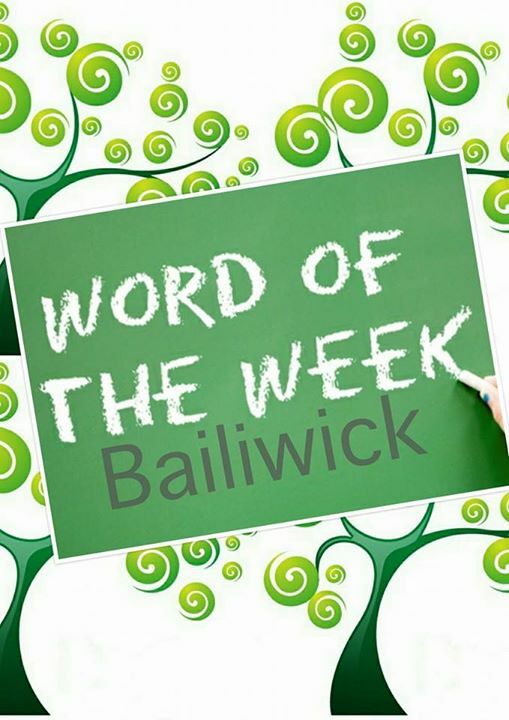 Bailiwick (adjective): One’s sphere of operation; an area of interest or skill. Example – English must be his bailiwick, he received such good grades in that class. CHALLENGE: Use the word in an interesting sentence and post it on our Facebook page (or email/pm it to us). The sentence we choose as our favourite this week will receive a little something in the mail! Agog (adjective): Full of intense interest or excitement; very eager or curious to hear or see something. Example – Papa was agog with curiosity upon receiving a mystery box from the parcel man! Tardy (adjective): Delaying or delayed beyond the right or expected time; late. Example – Please forgive the tardiness of this Word of the Week posting. (Adjective): characterised by pretentious or showy display; designed to impress others. A display of wealth, knowledge etc., in a way that is meant to attract attention, admiration, or envy. Example – The little girl’s birthday party was an ostentatious affair with live ponies, a chocolate fountain, and a six-tier cake. This week’s example comes from the writing work of one of our students, Master K.
Variations – Cantankerously (adverb), Cantankerousness (noun). Cantankerous (adjective): bad tempered, argumentative and uncooperative. Can you come up with an interesting sentence or poem? 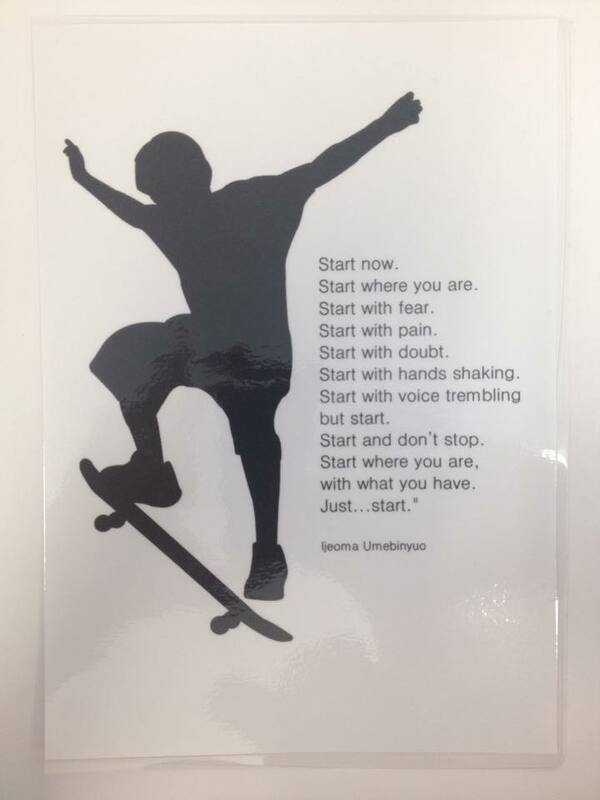 A writing activity with a twist today to help with motivation. We used the iPad and an app called Write About This (which is great for teachers by the way ; no ads, no social links, no in-app purchases) to get the creative juices going! Nice work Master C, I enjoyed your poem. 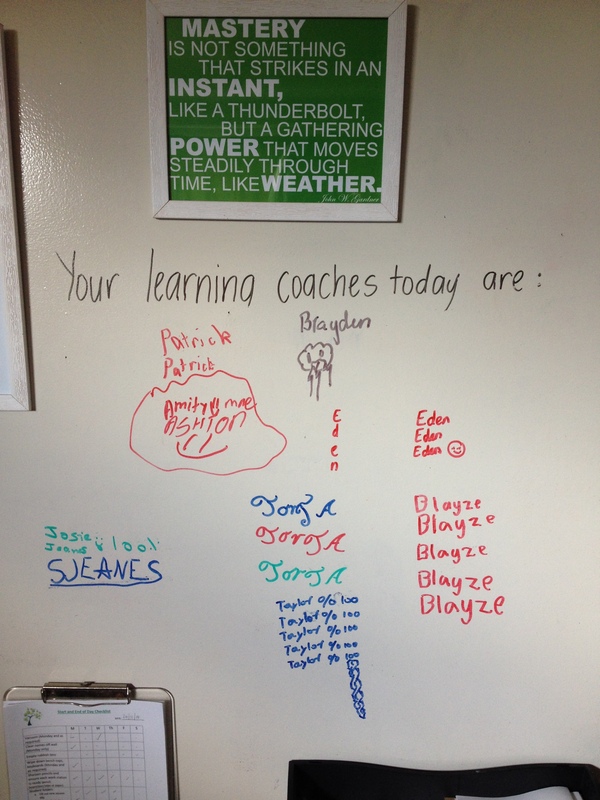 We’re pretty impressed with the consistent effort put in by our learners in their first week back. Well done Diaz, Patrick, Daniel, Susie, Josie, Jorja, Brayden and Blayze! Well done to Patrick, Amity, Brayden, Eden, Blayze, Jorga, Josie, Susie and Taylor for your achievements this week! One of our grade 8 students has just completed her foundation math course. When she started with us she showed plenty of potential but had many gaps in her knowledge and application. She began a structured foundation math course to fill these in. 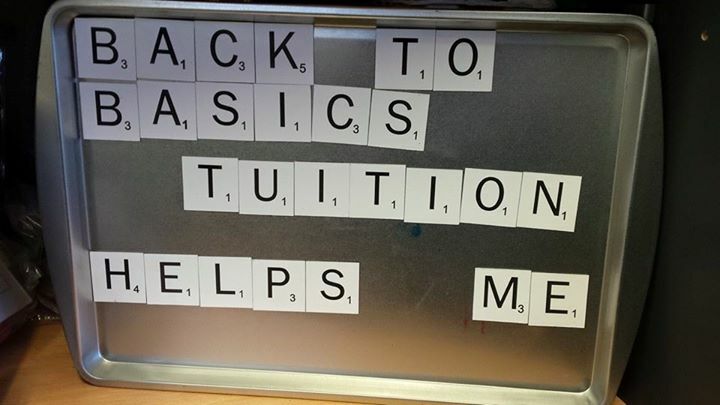 She was a student who wanted to improve but needed the right support to do so. Over the last 5 months she has completed 60 hours of Math work with us, gone through 4 years worth of structured Math curriculum, and achieved an A in her school Math assignment! She is now up to speed and is working 1 hour per week with Sharni on her classroom assignments so that she can continue to excel. This is a great example of short term sacrifice for long term gain! Very proud of Miss J who smashed out her essential sight word lists today. This is only one page out of three that she completed, and they all had this many ticks! 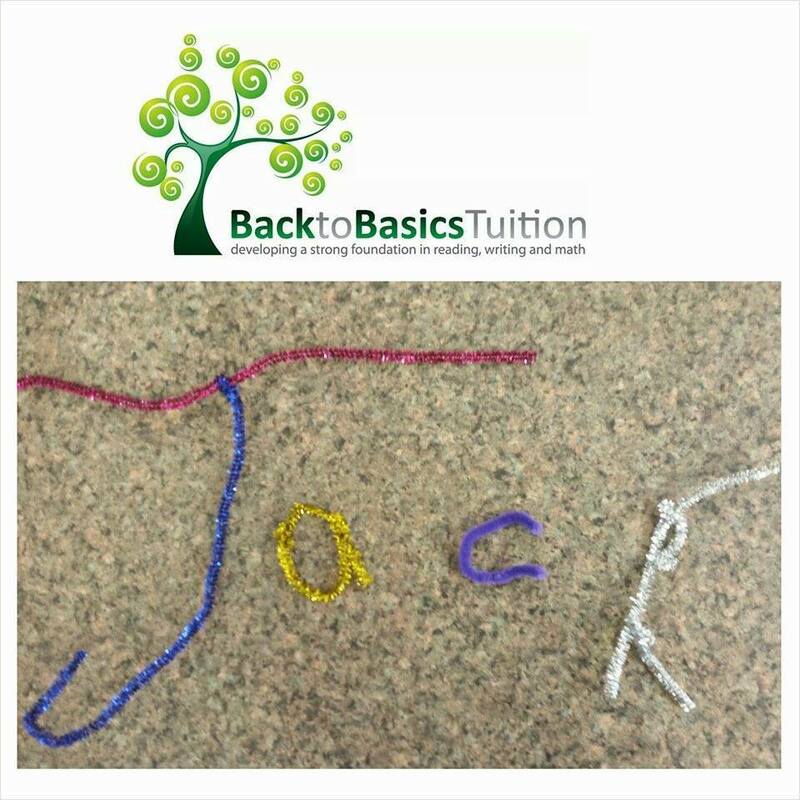 One of our younger learners is having difficulty with forming his letters. He is not yet able to see the finer details about shape and where they sit in the lines. We have pulled back a step to practice looking at finer detail in general. This teaches him to pay more attention to all of the visual information before teaching his brain and hand how to form the letters. For this activity he has to look at the picture and the recreate the shape. Attention has to be paid to not just which order the characters are in, but what way each one is facing, and exactly where they connect to each other. 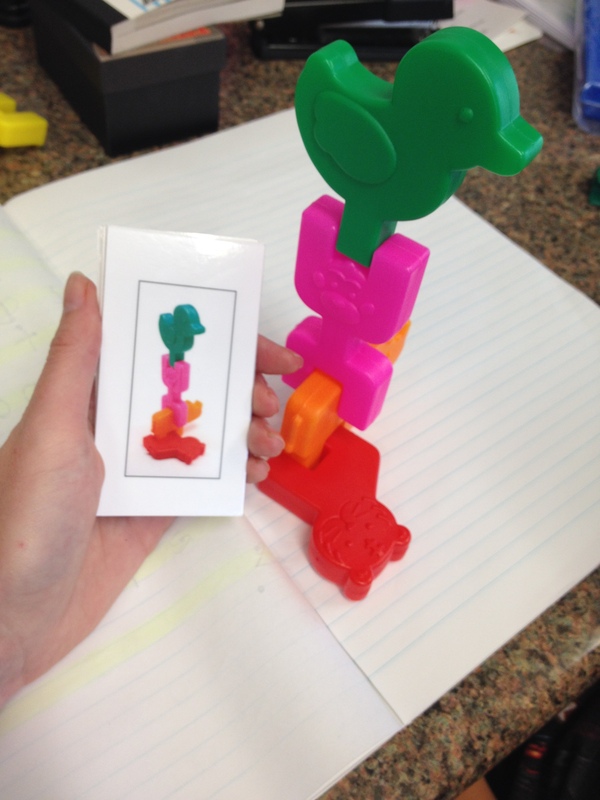 It is a fun way to challenge (and teach) his brain! Our new Speech Sound Pic cards are up on display in our studio! 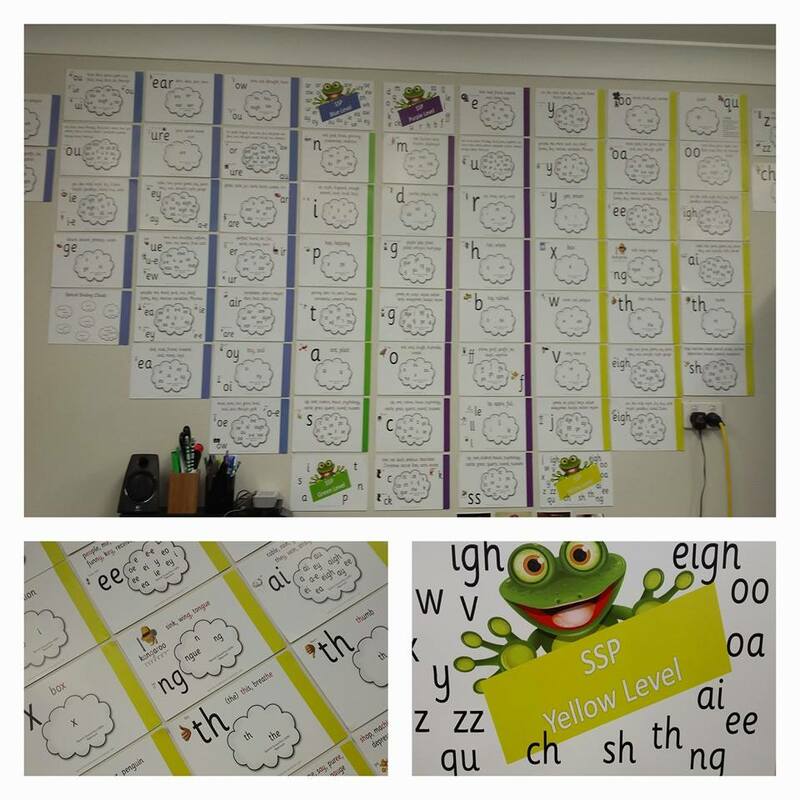 These are particularly well ordered and set out to help students decode words and sounds and really facilitate their learning in leaps and bounds! We use them in conjunction with the duck hands strategy, so if your children come home with quacking hands you’ll know why! One of our little learners practicing his name. He was also able to talk about there being another Jack in his class but that Jack had different letters in his last name. This is developing an understanding that letters form words, and words have meaning attached to them. Oh, and playing with pipe-cleaners is also FUN! 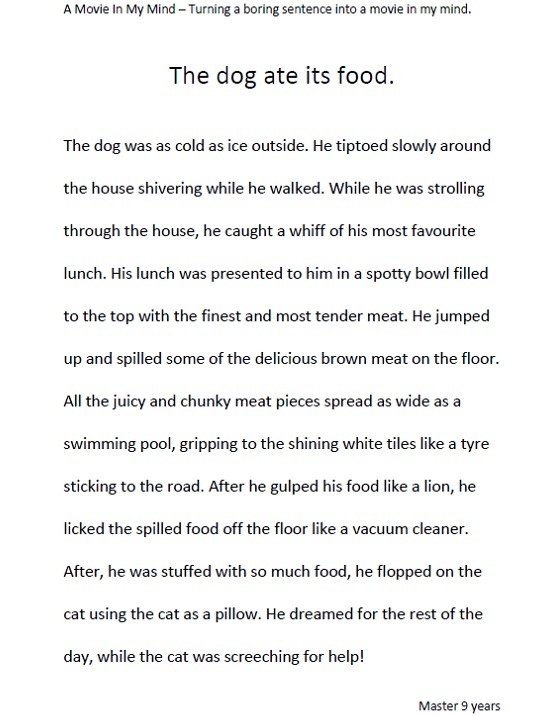 Have a read of Master 9’s descriptive writing piece. His task was to turn a boring sentence into a ‘movie in my mind’. This is about an hour and a half of guided writing (guided because we learnt about similes and built upon our previous work on how to make writing interesting), and an hour of editing. The editing involved finding spelling errors, using a dictionary (yes, the actual book!) to correct them, as well as looking at sound in words. I love this piece of writing and Master 9 is very proud of his efforts!